What just happened? If you’re one of the many people who enjoy Civilization VI but find its cartoonish graphics a bit off-putting, here’s some good news: a new mod gives the game a graphical overhaul, making it look much closer to its predecessor, Civilization V.
Unlike most mods that are the work of fans, the modder in this instance—‘GrrrArrrg’—is Civilization VI’s art director, Brian Busatti. 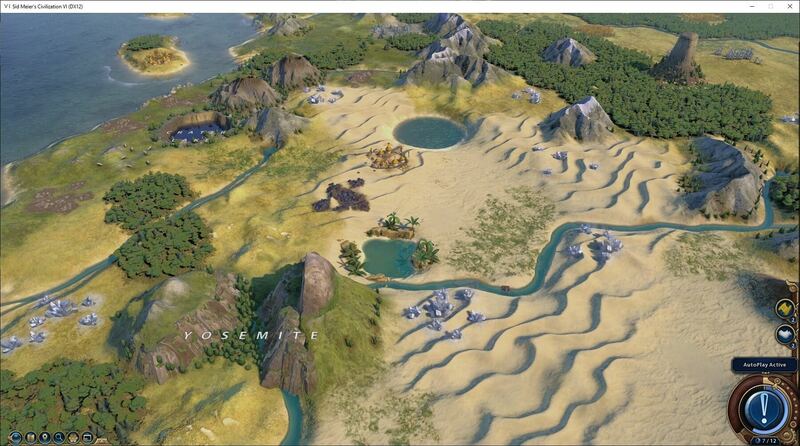 PCGamesN reports that Busatti took up a challenge from his colleagues at Civ developer Firaxis to create an example of an environment skin using only off-the-shelf modeling software and tools available to everyone. The result of Busatti’s work is ‘Environment Skin: Sid Meier’s Civilization V,’ which is available from the Steam Workshop in the form of a 2.4GB download. It changes Civ VI’s visuals to more closely match the colors and tones of Civ V, introducing multiple texture modifications for terrains, including oceans and forests, and a more neutral palette. The mod is compatible with every release of the game, up to and including Gathering Storm. You can see more screenshots at the CivFanatics forum. This is one of several major mods released over the last few weeks. We recently reported on the Minecraft shader pack, which uses path tracing to add ray tracing-style effects to the popular sandbox game. Last week saw a mod released for Sekiro: Shadows Die Twice that not only introduces a slew of graphical settings but also gives players the option of making this notoriously difficult game a lot easier.